Airport Rentals are not your traditional car hire joint. In fact they don’t have any cars at all. Car Rental Republic are specialist car rental bookers that operates this dedicated airport car rental website that searches hundreds of car hire companies to find you the very best deal. To date they have organised over 1.5 million rentals and offer 24h customer service 7 days a week should you need it. To sweeten the deal they have a price beat guarantee so if you find a better deal they will beat it by $1 and give you a 25% discount on their protection plus policy (see below) where available. Booking with Airport Rentals could not be simpler. I booked with Airport Rentals for the 5th time for our upcoming trip to Tasmania. 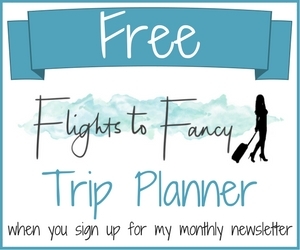 While it’s fresh in my head I’ll take you through the simple booking process. 1. Enter your dates and destination. 2. A long list of results will appear in price order; in my case 113. Use the filter at the left to narrow your choices. I find the ‘on airport’ and ‘shuttle’ option particularly handy. Of course I would much prefer to pick up and drop off at the terminal but sometimes a short shuttle ride results in BIG savings so don’t be too quick to write it off. 3. Choose your extras. I choose nothing but additional insurance. The standard rental price will usually come with Collision Damage Waiver (CDW) but the excess can be hefty. The ‘protection plus excess insurance refund’ policy I chose is pricy, almost equal to the rental itself, but it will refund your whole excess if something nasty happens and you are forced to pay up. I have never had an accident in a rental and have often thought of giving it a miss, but my luck and Murphy’s Law says the one time I do the inevitable will occur. Up to you one this one. If you do take this up be wary of any attempts to up-sell further insurance when you collect your car. I always carry my own GPS in Australia as these costs can really add up. 4. Pay a small deposit and for the extra protection if you have taken it. Airport Rentals only accept Visa and Mastercard which is a little annoying for this Amex toting customer. As you can see above, my rental with Keddy (Europcar) totals $200.08 for 6 days and I have added the optional protection plus for $141.00 against an excess of $4,950. 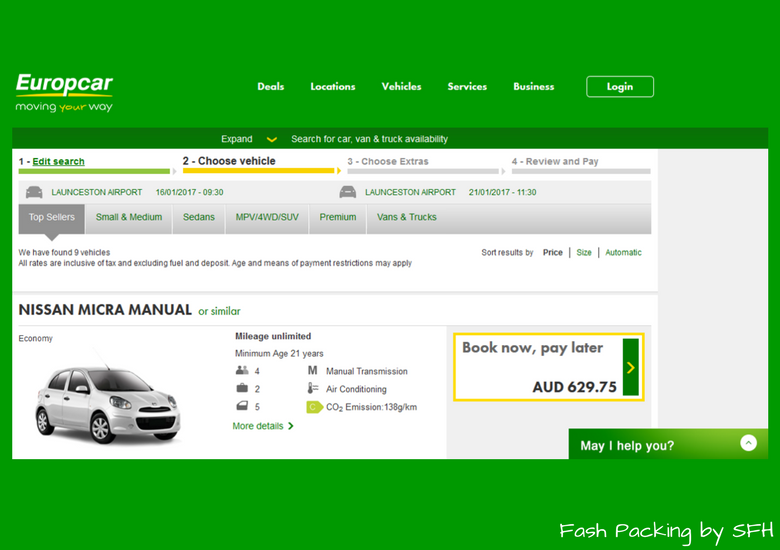 As a comparison, going through Europcar direct would be a base price of $629.75 with a $4,180 excess for the exact same car. They have three insurance upgrades priced at $178.84, $223.55 and $292.64 respectively. You need to take the top cover to reduce the excess to nil. 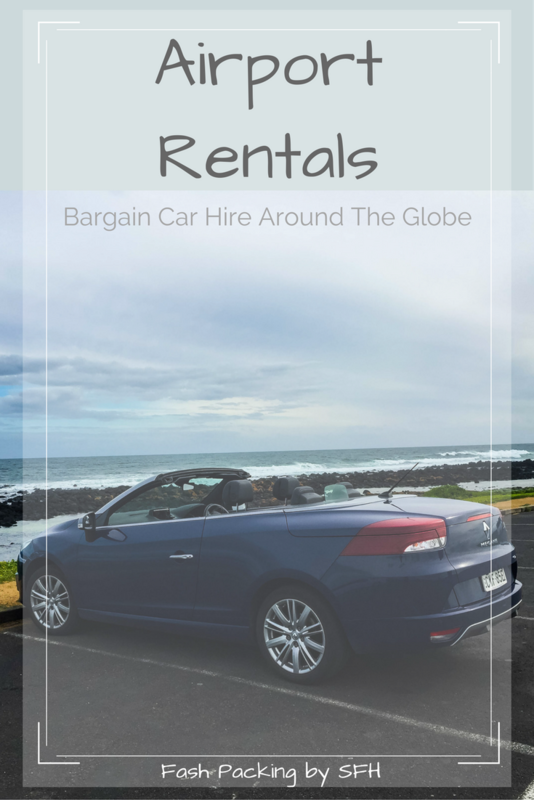 The Hubs first found airport rentals on our last trip to the Gold Coast. I remember being a bit skeptical at the time about how cheap it was and thinking there must be some sort of catch, but our Nissan Micra rental at Brisbane airport through Keddy (Europcar) went off without a hitch. It was too long ago to remember how much it cost. Soz! When I was in the Sunshine Coast with my bestie we also turned to Airport Rentals and hired an automatic Hyundai i20 through Bliss. When we arrived we were presented with a little white manual Nissan Micra. Luckily I can drive a stick shift but my companion couldn’t so I was designated driver all weekend. Cost $67.20 for three day plus we added the $67.50 protection plus. Total $134.40. 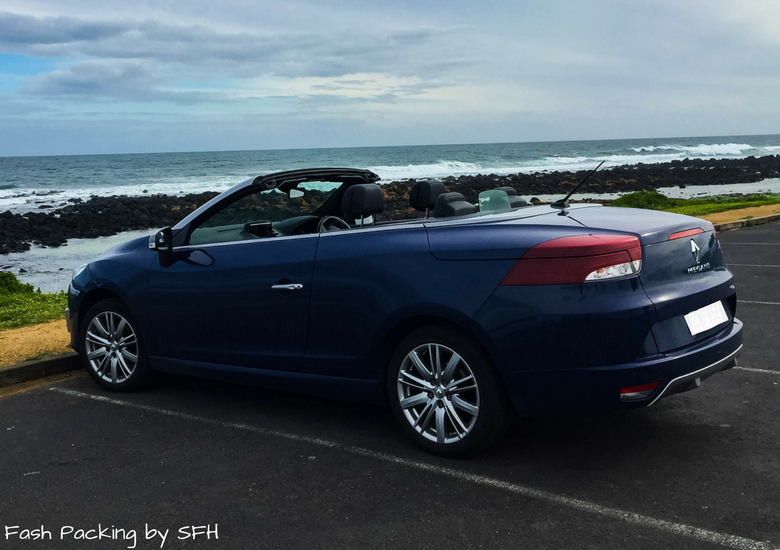 *** October 2016 Update *** The Hubs and I were down in The Great Ocean Rd when we used Airport Rentals for the third time. This was the first time we had used a ‘shuttle’ to an off airport location for our Atlas pick up and drop off. 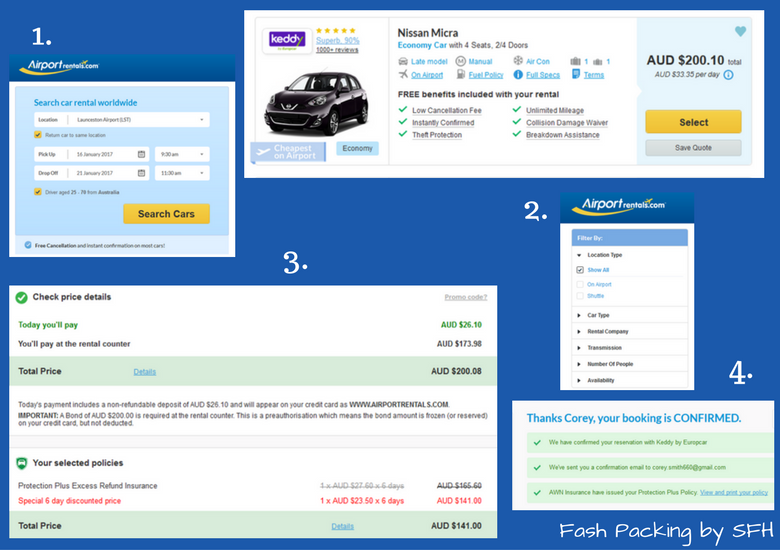 We booked a Nissan Micra again for two days at a cost of $72.22 plus $51.10 for protection plus. Imagine our surprise when we were presented with a Renault Megane convertible instead. Thrilled doesn’t even come close. This baby had everything from remote control ignition to heated seats. I never wanted to hand it back and it was just perfect for our road trip. And hell yeah we drove with the top down despite the fact that it was freezing 🙂 I kid you not, this is the best photo I have of The Hubs ‘smiling’. What can I say, he can’t concentrate on three things at once, you know, like driving, turning his head and smiling! 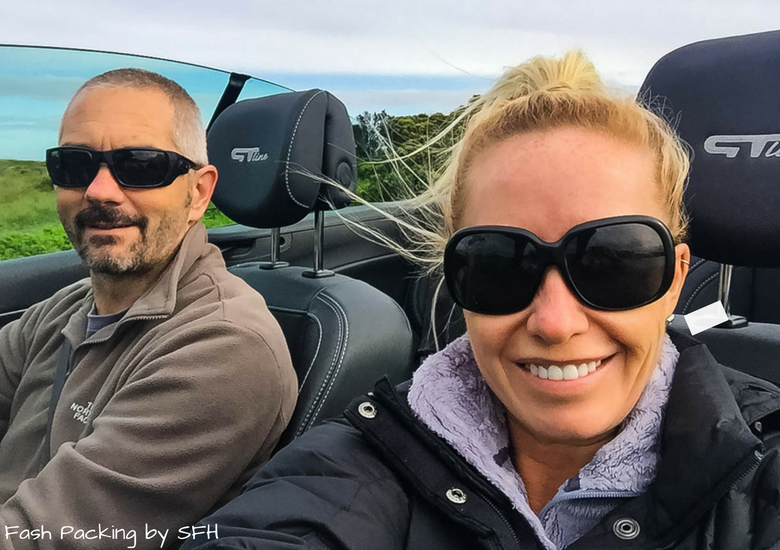 *** November 2016 Update *** Our first international booking through Airport Rentals was for our road trip through New Zealand’s North Island in November 2016. 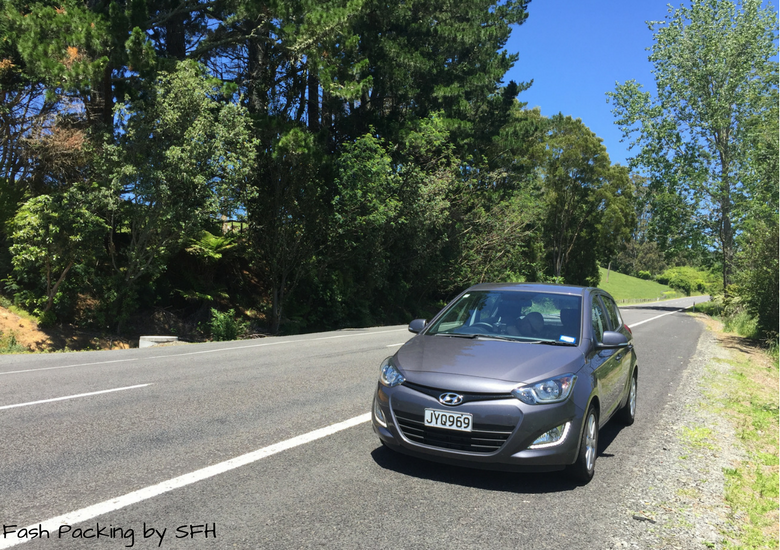 We collected our Hyundai i20 from Alamo NZ which was a short shuttle ride from Auckland International Airport. We chose a shuttle as the on airport options were almost double. Alamo NZ have only been in operation for a few months which meant we got an almost brand new vehicle. Yay! They did mention they are hoping to get an ‘on airport’ position from October 2017. We only paid $119.63 for six days plus $96.42 for the optional protection plus. That’s a seriously good deal in my book especially when you look how much it would have cost to book direct (below). While I do love and upgrade, I’m secretly glad we didn’t get one in Auckland as petrol in NZ is expensive so our fuel miser was appreciated. 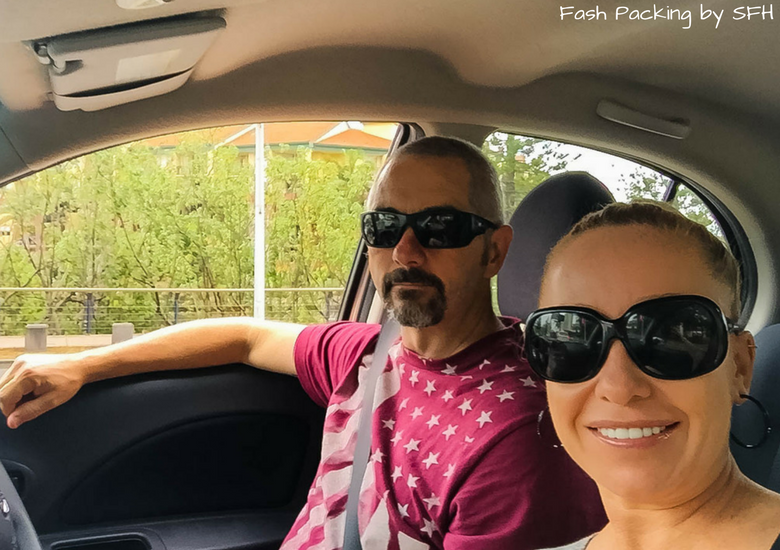 Now you have the cheap car sorted, check out my tips for booking a bargain flight to save even more and if you are heading to New Zealand for the first time my New Zealand Travel Essentials post tells you everything you need to know before you go. Have you used Airport Rentals? 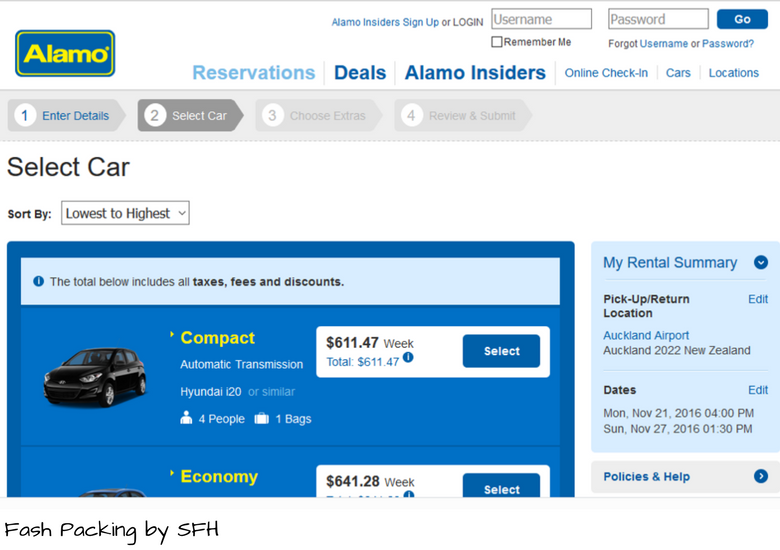 Do you have any secrets for scoring a low cost rental car? I would love to hear about it in the comments below. Disclaimer: This post is not sponsored. I paid for all my car rentals with Airport Rentals in full and as always, all opinions are my own. All prices were correct at the time of booking and comparisons were viewed on 23 October 2016. I’ll have to remember this post just in case I ever do a road trip. Solid information though. I love a road trip. They are now my go to for all my car hire! I haven’t needed to rent a vehicle from an airport quite yet. I have rented a couple of times before, but that was for 3-4 days tops. Renting under 25 can sure be expensive! But it’s nice to see that prices aren’t too bad in Australia! I’ve heard the road trips there are absolutely incredible! Aussie road trips are great Deni but looooong! It is a big country! Looks like airport rentals have really some good deals to offer. We are going to check these out next. Great that you got an upgrade..what a joy!! If I’ve read this correctly, it looks like the Europcar example saved you about $300? That seems like a huge saving. Did I miss something or is Airport Rentals really that much cheaper than going direct? It’s more like $600 when you factor in the insurance. I don’t know how they do it but I’m glad they do ? Now that’s a big road trip Marissa ? This is fantastic. I had no clue about this site. I will definitely have to use it the next time we travel. It’s always been the cheapest deal I have ever found Stacey so hopefully it works for you too ? Good overview! I hate overspending on a car rental. 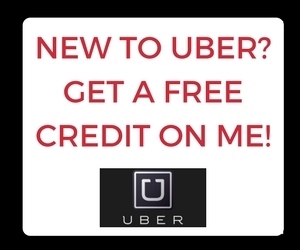 If Uber is available, then I will calculate price and convience of having someone else drive me around, or actual car hire. Me too Jen. I really only consider a car rental is we have some decent distances to hover over multiple days. Agree Leah that some destinations simply need a car. This is awesome!!! I can just imagine how thrilled you were upon seeing your ride. I know my boyfriend is going to love this, too! I wonder if this service is already in Philippines? I know, for sure, he’d do this every chance he could get. Will definitely tell him all about this! I just checked Mimi and they do cover Manilla so make sure you take a look and see how they compare next time you need a hire car ? It sounds like a great website to find a cheap deal for a rental car at the airport. Unfortunately I don’t drive yet (I keep postponing my driving license because I always spend all my money on trips) so I can’t rent a car. I did see however the need to do it in some places where the bus doesn’t help you much to see what you have planned to. Well that does make it difficult Joanna lol. There are lots of places where a car just makes more sense and I do love a good road trip ? I haven’t tried any Airport Rentals yet. When I travel, I usually make sure that the hotel I am staying includes the airport pickup option. I am also the kind of person who doesn’t want to spend on unnecessary things. But nonetheless, I am interested in doing these kinds of rentals. I guess if depends where you go to determine if a car is necessary. 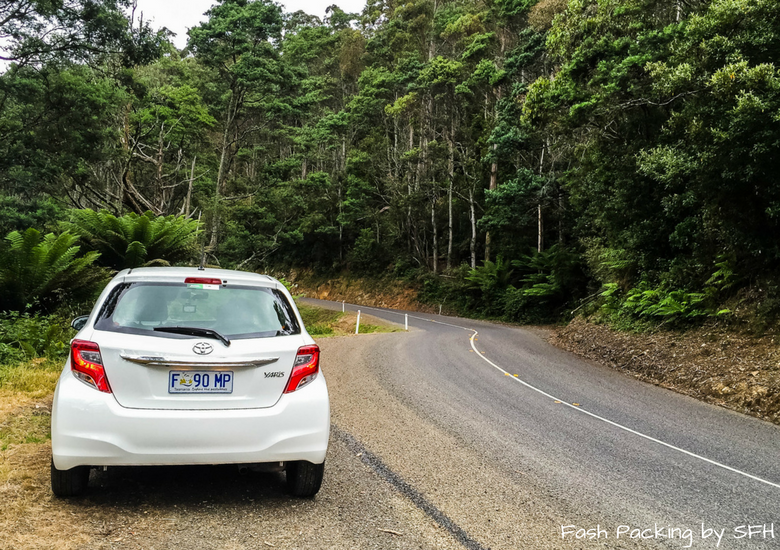 I certainly would hire a cat if all I was doing was getting to/from the airport and hotel but The Great Ocean Road in Victoria is all about the drive and the other trips we were covering lots of different destinations and the car would be much more efficient. Hotels that include airport pick up in Australia would be a very rare thing indeed. I have done that in Bali but Ai have yet to see any hotels in Oz offer it. Oh a very interesting post. We actually use a different site for things like this and it has been giving us relatively cheap options. But will surely try this. Glad to hear. Which site do you use? I would love to check it out? He He love this post .. the Renault Megane convertible!! Lucky things!! No wonder you didn’t want to hand the keys back! Equally love the pic of your hubby ‘smiling’, my partner always smiles like that in pics! ha Thanks for the awesome tips.. Will keep this in mind! I did look at how much one would cost to buy but it’s out of my league lol. I know men right! This is cool. I wish there’s a facility like that here. Im not quite sure if there is but i haven’t heard anything like this before. The price is quite reasonable but if converted to peso its like not affordable for a thrifty like me. Hahaha! It spells convenience though.. great one! Car hire can be a huge expense so I get that it’s not always possible in a budget. We certainly don’t always hire one bit in these occasions it just makes sense. My family usually use public transport when travelling but we might have to try this! The cost is pretty good too! Hopefully on our next trip abroad we’ll be able to rent a car ??? Give it a go Johna. Sometimes it’s more cost effective than getting public transport everywhere especially when there are a few of you. This is wonderful news for travelers! Thanks for sharing. Will take note of this for our future travel plans. I agree that you got a great deal with them. I’m all about a bargain Teresa ? Wow, this is awesome, you’ll get the chance to drive at your own safety. I like how they come up with this idea and I have never heard a car rental that allows you to drive just now. It must be an awesome experience. Thank you for sharing this one. You should try it. A road trip is a great way to see a new area at your own pace ? 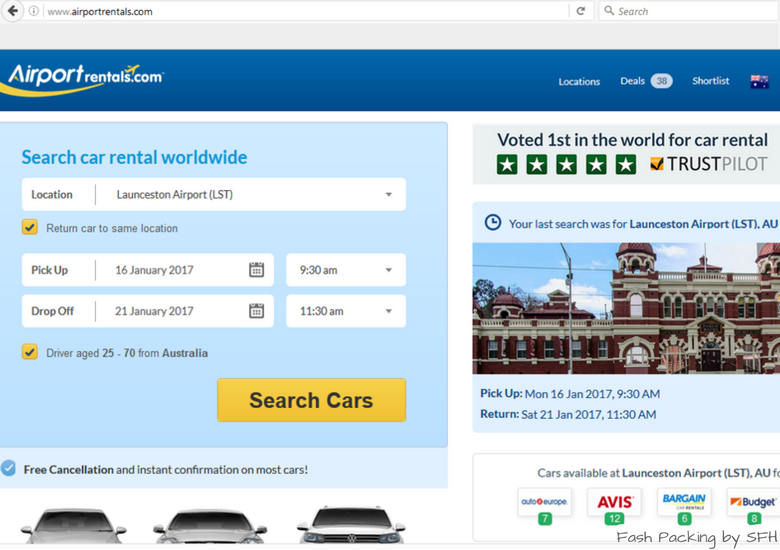 Yes car hire is very convenient for some trips LaiAriel ? From one traveller to another, thanks for this. If you’re ever in Portugal, avoid Gold Car like the plague. Unless you enjoy spending 100 Euros on a tank of petrol when you plan on driving the car like, twice. BAH! Great tip thanks. I do plan on being in Portugal in 2018 but not sure if we will be hiring a car there. I always check the fuel policy on any car I hire and most are hat you have to bring it back with a full tank. I have never been charged yet luckily ? I’ve never rented a car at the airport before as I’ve never been old enough and most places I visit drive on the opposite side of the road to me (I’m from the UK). So that alone seems pretty intimidating! However, in the next few years, I’m looking forward to finally renting cars abroad. 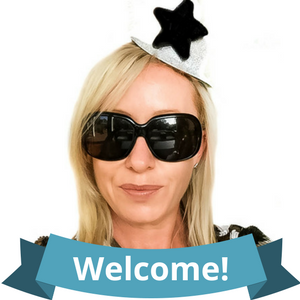 Loved reading about your experience and your personal tips! I remember this days Sophie! Most places after 25 it gets a lot cheaper! The first time you drive in the other side of the road it is definitely weird but you get used to it pretty quickly ? Awesome that you got a convertible!! I would love to drive one of those bad boys! My friends and I recently rented a car when we traveled to Jeju Island (the “Hawaii of Korea”) and it was great that we didn’t have to rely on public transit to get around. It’s kind of hard to get around anyways if you didn’t have a car…so it was awesome! I take public transport as less as humanly possible lol but you are right some places are just so much easier with a car at at these prices it’s easily affordable ? I never tried this kind of service but it sounds a wonderful experience. I think it’s a must to try. A great idea to roam around to unknown territories. Your hubby looks he enjoyed the service. There is nothing quite like a road trip Amae ? Thanks for the tips. I have never heard of Car Rental Republic so I will check them out next time I am hiring abroad. \i usually use Skyscanner and buy third party insurance. More recently I have not had any upgrades 🙁 Maybe my luck is out! I’ve never used Skyscanner for cars. Will have to have a look. Upgrades are just the best when they happen ? You have found great deals! We have never rented out the car, mainly because of huge blockings on your credit card. We found the well-priced cars in Mexico and everything looked perfect – but they told us they would block our card in the amount higher than our card supports. So we took the bus lol. How much deposit do you need to leave in Australia? Looks like a great company. I hire quite a few cars when I am travelling so will give it a go next time I need one. Think I will be going for the cheapest though!! Thanks for sharing this! Some places have fantastically cheap rental cars, while other times prices are sky high! I dread dealing with car rental places. It always takes forever standing in line. 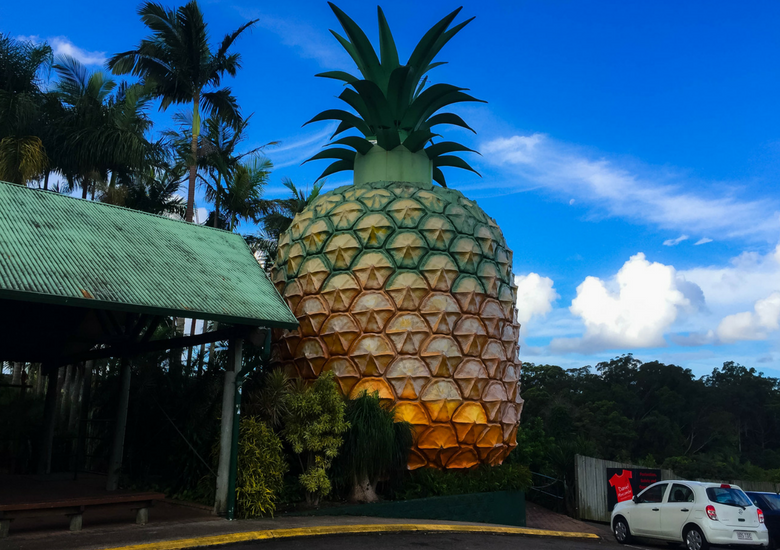 I’m super curious about that pineapple building! So cool! Will do Kris. We will be road tripping around a bit of the North Island. Oh my! What a great surprise to be handed a convertible! What was the reason for the upgrade? We always get an upgrade as well whenever we rent a car but never been as good as a convertible. Hehehe. We have had some great upgrades in the past but this was exceptional. Not sure of the reason I guess they were just out of micra’s. I wasn’t game to ask too many questions ?